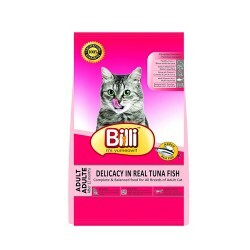 Product Details-Ingredients - Wholegrain Cereals Vegetable Protein Fish meal Cassava Chicken fat Brewers dried yeast Fish digest Poultry by-product meal Tuna by-product meal Iodized salt Taurine Vitamins and Minerals, Suitable-Adult Cat, Quantity-1.5 Kg. Product Information -The recipe includes real tuna along with essential vitamins, minerals and antioxidants for a healthy immune system. There are also omega 3 and 6 oils plus phytonutrients for shiny fur and healthy skin.Cat food is a nutritionally balanced and complete cat food. It is highly digestible and cats love its great taste. 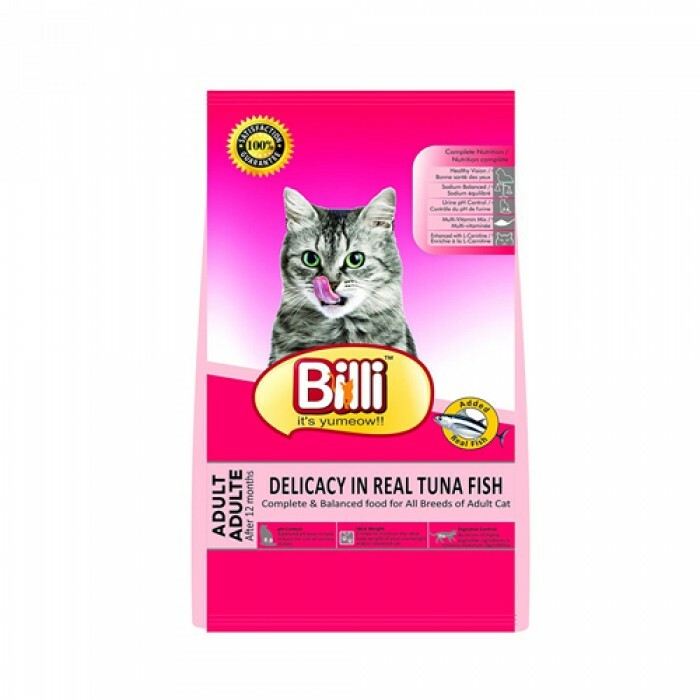 Billi Cat food is formulated to meet or surpass the Tuna fish Improves cats eyesight Boosts cats immune system Strengthens teeth and bones Prevents risk of bladder stone Nourishes cats skin and hair Decreases risk of high blood pressure, kidney and heart disease in cats.